The trend of “aging in place” is steering the care management industry in a new direction. Care Angel is proud to offer a simple yet effective, innovative breakthrough the remedy pain points in this system. Our AI-driven form of healthcare management is world-class solution, which closes the gaps in care that result in hundreds of millions of wasted dollars every year. 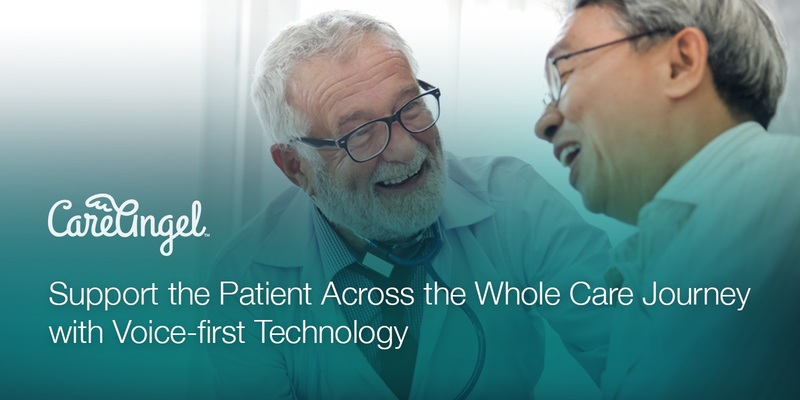 Through an artificial intelligence-powered platform, we utilize voice-first conversations to provide a customizable suite of services that redefine how we help ACOs to better manage and monitor all things related to the health and wellbeing of their members and patients. The premise of Accountable Care Organizations (ACO) is for different entities to jointly commit to the health of the patients in order to qualify for financial incentives by achieving quality and costs goals. These incentives have stimulated more patient engagement, monitoring, and preventive care in order to reduce emergency room visits and readmissions that drive up costs. According to 2017 CMS performance data, 60% of ACOs saved money in 2017 and 34% of ACOs earned shared savings. At Care Angel, we believe that to successfully manage the health of these Medicare populations, ACOs must monitor at a more granular level to proactively triage and treat patients in ways that will result in better health outcomes and greater shared savings. How Does Care Angel Support ACO Partners? Effective ACOs must share the same level of commitment to collaborating and sharing information in order to bridge gaps within patient care. Each provider must work to seamlessly communicate with patients’ and other providers to ensure that the quality of care is optimal, in order to meet the requirements for financial rewards, bonuses, and other shared savings. ACOs must also successfully rely on the data provided through digital check-ins that monitor vitals, wellbeing, and medication adherence to ultimately accomplish the goals of the ACO to reduce unnecessary emergency department visits and improve clinical outcomes. Simply put, Care Angel removes barriers that limit timely access. Angel supports the necessary collaborative mindset that is tantamount to population health and provides real-time data and analytics that can be assessed by all stakeholders, including the patients and their family caregivers. Why Choose Care Angel for your Innovative Population Health Solution? At Care Angel, we’ve made it our mission to accomplish all of the above benefits for healthcare. We are committed to serving ACOs in a personalized way through a wide range of innovative services that meet each individual client’s needs. Angel, our virtual nurse assistant, propels the advancement of healthcare management forward through innovative AI technology, while keeping the human touch central to the equation. If you want to explore the most effective ways to extend care and empower care teams, individuals and their families, at the lowest cost, we encourage you to take the first step and contact us today. We’ll help you get started and guide your progress every step of the way.